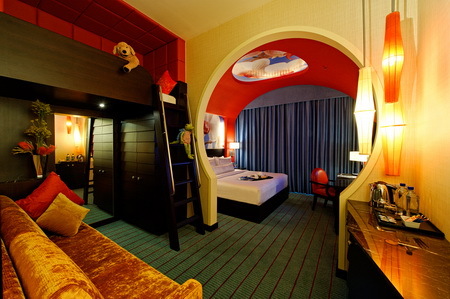 Fun and vibrant, with lots of design surprises to delight families, Festive Hotel rooms come with separate chambers for parents and loft beds for kids. Sofas that flatten into beds add extra sleeping room. 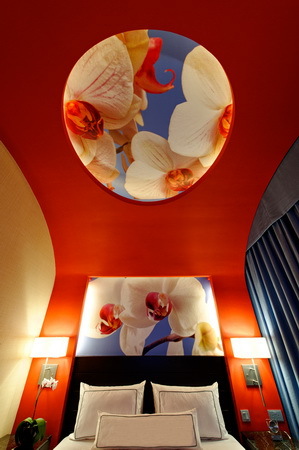 Bold orchid motifs are featured in the corridors leading to the rooms and in large ceiling windows above the chambers. The hotel will feature a kids’ arcade, family restaurants, and a 1,600-seat theater where the Resort’s resident show is staged. 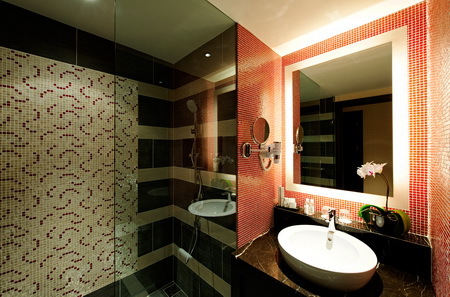 390 rooms, including Deluxe Rooms, Super Deluxe Rooms and Suites.